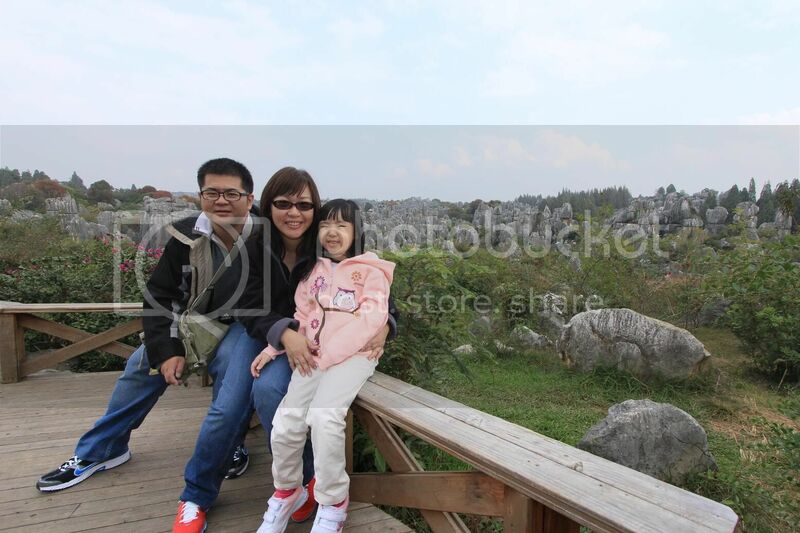 Christine, Isabel and myself went on a trip to the southern part of China in "Yun Nam" for a holiday. The trip includes the tour of Kunming, Lijiang, Dali and Shangri-La. These are the pictures from Day 1 in Kunming. We visited the caves and gorges of Jiuxiang. Next, the tour guide brought us to the Stone Forest (石林). It was an geological wonder and it is aptly named. You could literally get lost in the heaps of giant stones. The place owes its creation from the tectonic plates movements which resulted in huge undersea rocks and corals were raised above the sea level and form the "stone forest" of today. Some of the larger and taller rocks have clear horizontal cracks on it which according to the guide, was caused by the erosion of the surface of the sea when it was still submerged. A wee bit about the local customs and culture.. In Kunming, it is rude to address the local ladies as "小姐" because the term is commonly used to associate with KTV hostesses and prostitutes in China. To address a young "YI" woman proper in Kunming, we have to call them "Ashima" so as to get their attention. More ways to address a woman in different parts of Yun Nam later. Many apologies for pics not well taken due to new camera. Also, the short timing for each tourist site means I gotta learn the trust the metering instead of taking the time for trial and error. Click here to see the rest of the album for Day 1.